A good few years ago, back in 2009, mining Bitcoin for many was merely considered a hobby. For those that were interested in cryptocurrency, they considered mining it a lucrative and interesting way to pass the time. All that was needed was nothing more than a simple computer, meaning that there was no need for special investments or dabbling in Bitcoin exchanges (which, nowadays, is pretty much the only realistic way of earning cryptocurrency). In the beginning, the very first Bitcoin miners were producing BTC at the rate of 50 per block. If you had a pretty decent computer, you would be looking at earning roughly about NZD$5 a day. Although this may not seem like much, the amount of computing power needed back then was relatively small. It was worth it for crypto enthusiasts to participate, even if merely for the joy of doing it. Today, however, things are a completely different story. If you were mining 50 BTC, you would be getting something along the lines of NZD$400,000 per block, a far cry from the simple $5 that you would be getting back in 2009! It was in October 2010 that the code for mining Bitcoin with GPUs was released to the general public. It was at this time that the difficulty of mining started to increase, and miners had to start investing in better and more powerful hardware. 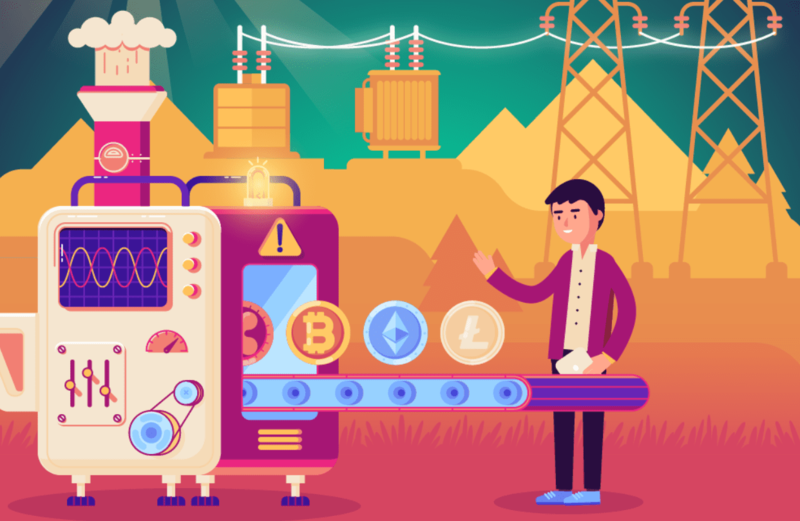 Over time, the difficulty of mining continued to rise, and the power that was needed made it almost impossible for those that were just mining as a hobby to make any profit from it at all. Today, it hardly seems worth it to mine on your own, as it may be years before you actually start to see any outcome. Instead, what some people choose to do is join a mining pool. A mining pool is a group of people who ‘pool’ their computing resources together to work on a block, and when found, they share rewards between them. Although the work is done much quicker and with less individual power needed, participants get much smaller portions of the reward. In 2018, many people question whether Bitcoin mining is profitable at all. Its profitability depends on an extensive range of factors, so it is worth conducting some research before starting mining. Yet, Bitcoin mining continues to consume vast amounts of energy, as presented in the infographic below. This infographic was made by our amazing friends at BTXchange.io. Images courtesy of BTXchange.io unless stated otherwise.